The Duchess of Cambridge always looks chic and put-together, whether she's on a walkabout greeting crowds of fans, or attending an official royal ceremony. And when she and Prince William visited Dundee yesterday (29th January), her look was no exception, as she dazzled in a fitting tartan print Alexander McQueen coat. But it was actually her gorgeous designer earrings that caught our attention – for a very sweet reason. For the Scottish outing, Catherine opted for a pair of sapphire drop earrings, which actually once belonged to her late mother-in-law, Princess Diana. When the Princess of Wales wore them, they were actually designed as studs, fitted to her ears rather than hanging from them. But it’s thought that when Prince William gifted them to his wife, they were remodelled into drop earrings, to better suit the Duchess of Cambridge’s style. So it was a sweet nod to her late mother-in-law from Catherine, who often pays tribute to Diana with her jewellery choices. During Kate and William’s visit to Dundee, the Duchess also opted for an old favourite pair of gloves; her black merino wool ones from British designer Cornelia James. 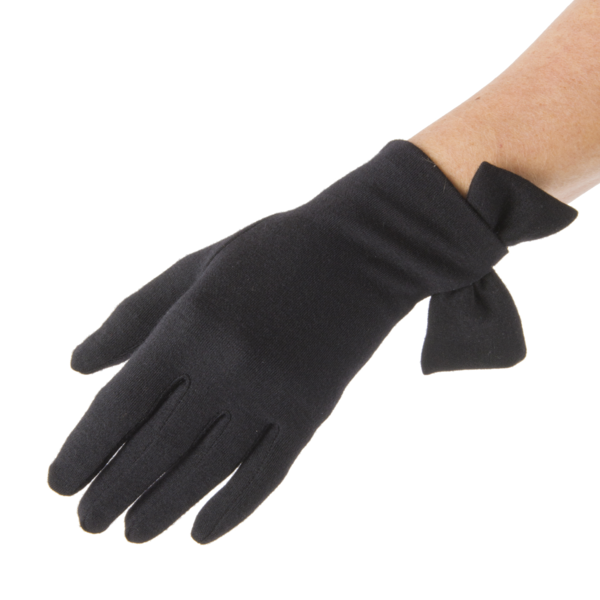 The wrist-length, everyday gloves are certainly impressive enough for a royal, with an elegant fitted bow on their side. But they’re also practical enough to wear for any occasion – meaning they’d work brilliantly in our own wardrobes! Catherine’s gloves will set you back £75, and while that might be more than you’d usually spend on a pair, they’d be a great investment that would likely last for years to come. The Duchess’ specific black pair, the Imogen, would be perfect, as they’d go with almost any outfit in your closet. If black isn’t for you though, the gloves are available in eight other colours – including a plum, navy, and taupe. But if you’re still not convinced, you might be interested to hear that the glove brand actually comes with a Royal Warrant – meaning the Duchess of Cambridge’s gloves are approved by the Queen herself. Cornelia James has a long association with the monarch, having made the gloves for her going away outfit after her marriage to Prince Philip all the way back in 1947. And if that doesn’t guarantee quality, we don’t know what does! 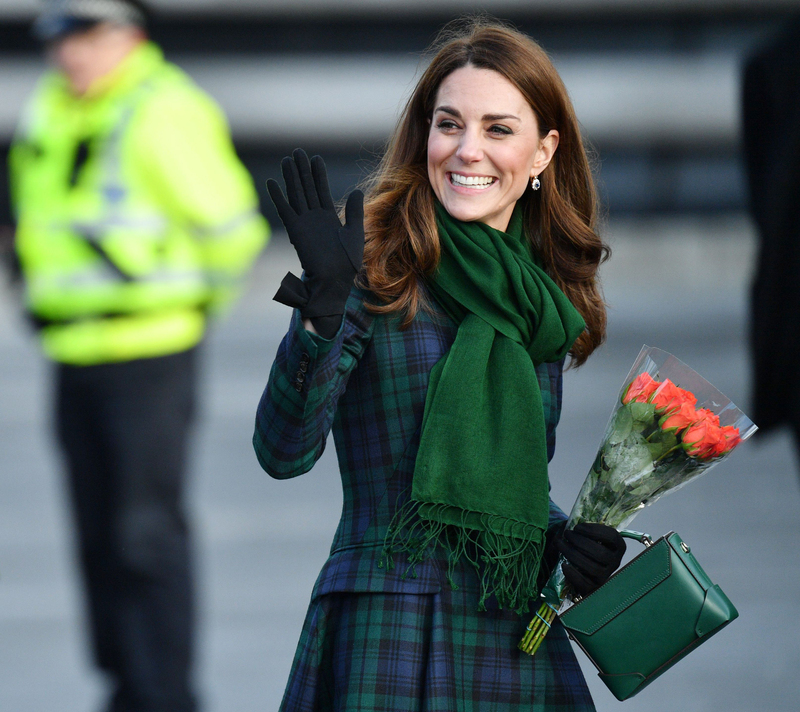 Actually, the Duchess of Cambridge has been a fan of the Cornelia James gloves for many years now, having worn them multiple times since her marriage to Prince William. 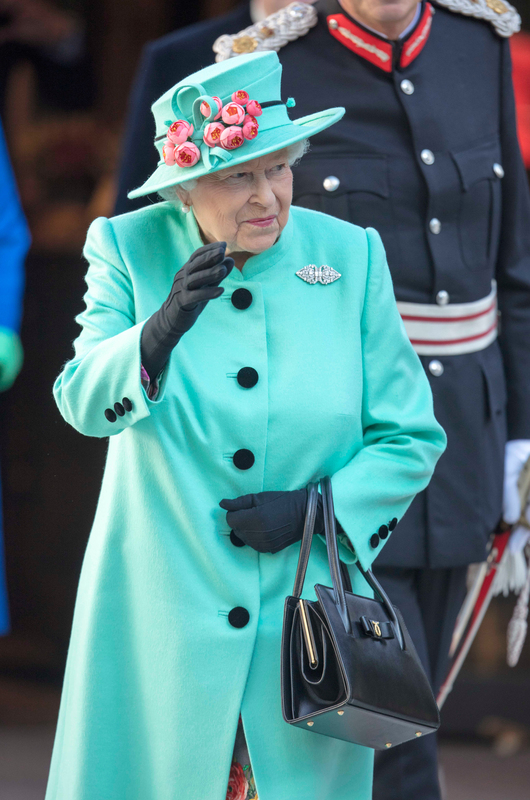 So it seems likely that Catherine got some handy fashion advice from Queen Elizabeth herself when she was hunting for a royal-appropriate pair of gloves!